The promotional rules you define incentivize you customers to spend more! 3 products bought in cat1, cat2 => 15€ off on the least expensive product in categories cat10, cat1, so 6 products implies 2x15€ on the 2 cheapest. 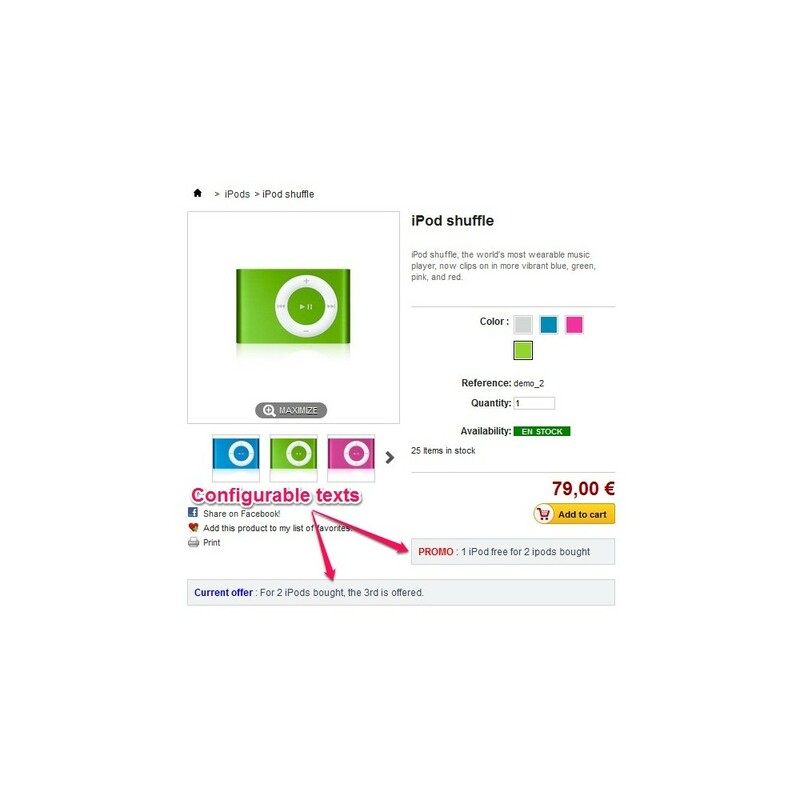 The computated discount are automatically placed by the module into the current cart as vouchers. 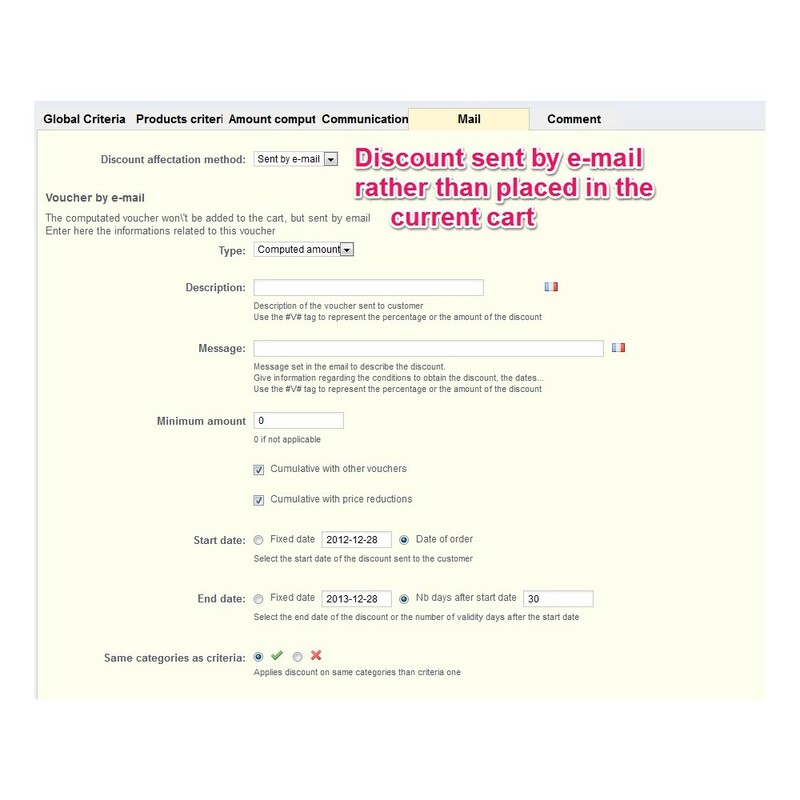 In each rule configuration, you may decide to sent by email the voucher to the customer instead of placing it into the cart. Your customer will have to place a new order to use this voucher. 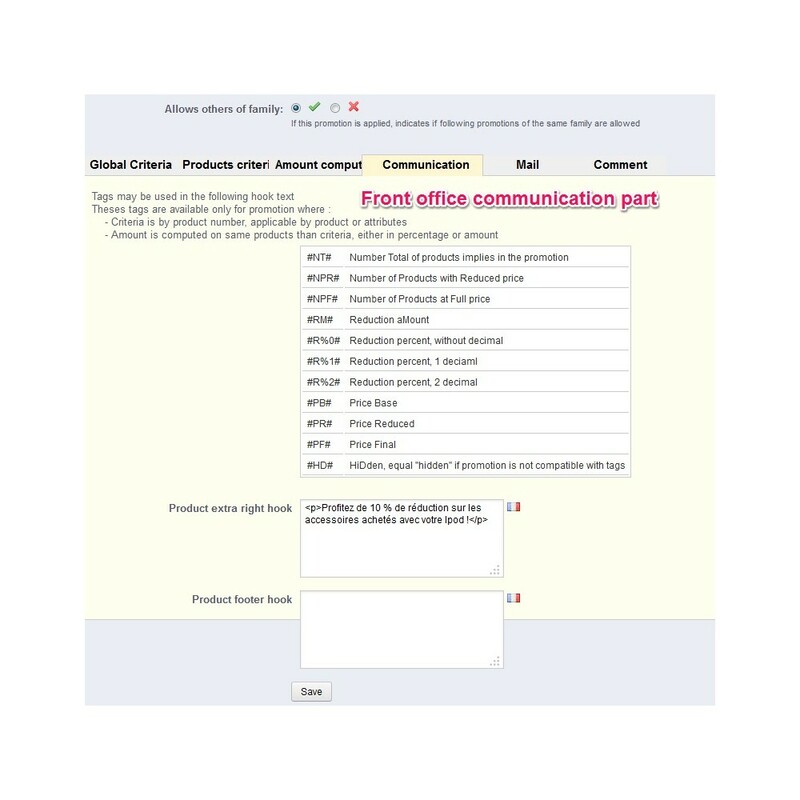 Through the configuration page in your back-office, you can define your different promotional rules. Some may be individual promotions or they can be combined. 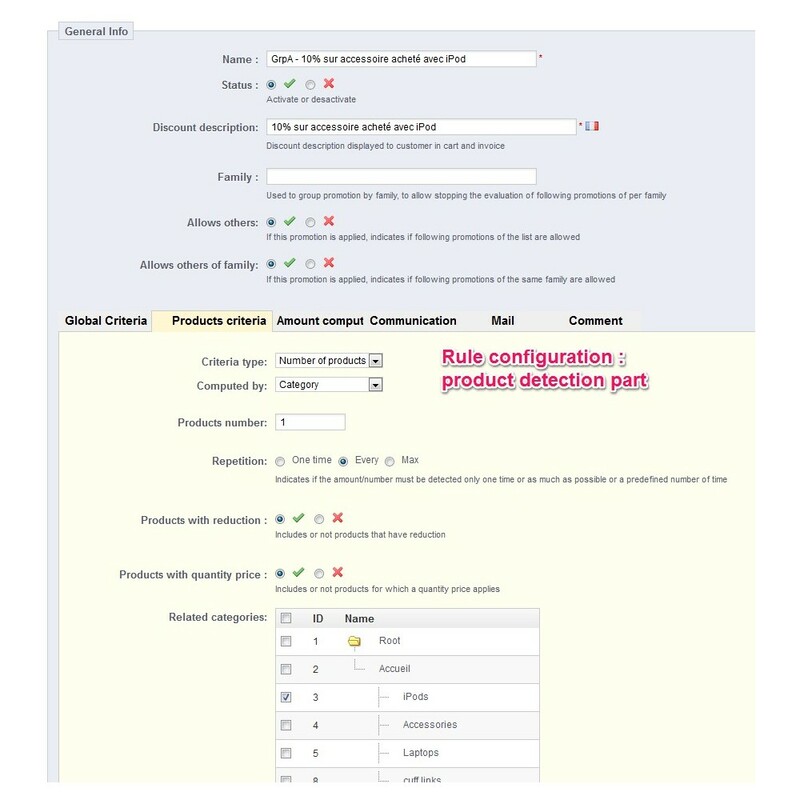 When a customer modifies his cart content, the module automatically reviews your promotion rules. 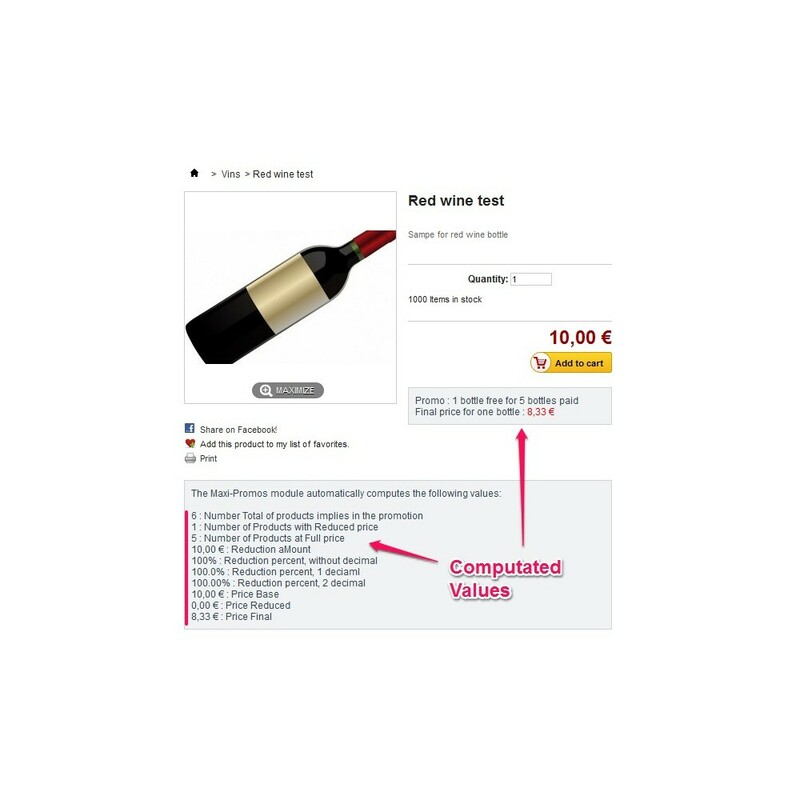 For each product, it verifies if the attribution criteria are met and then automatically add/removes discounts from the cart. For a discount by e-mail, the module sends the vouchers to the customer when his cart reaches a state that is defined in the global configuration of the module. The validity dates of these email vouchers are customizable. 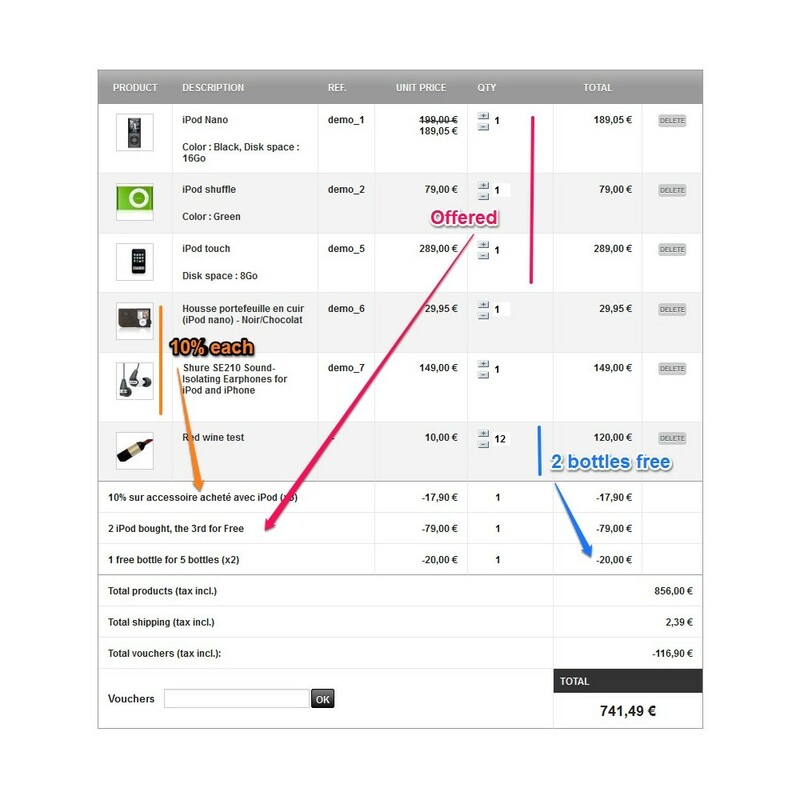 Configure order amount thresholds with or without taxes. 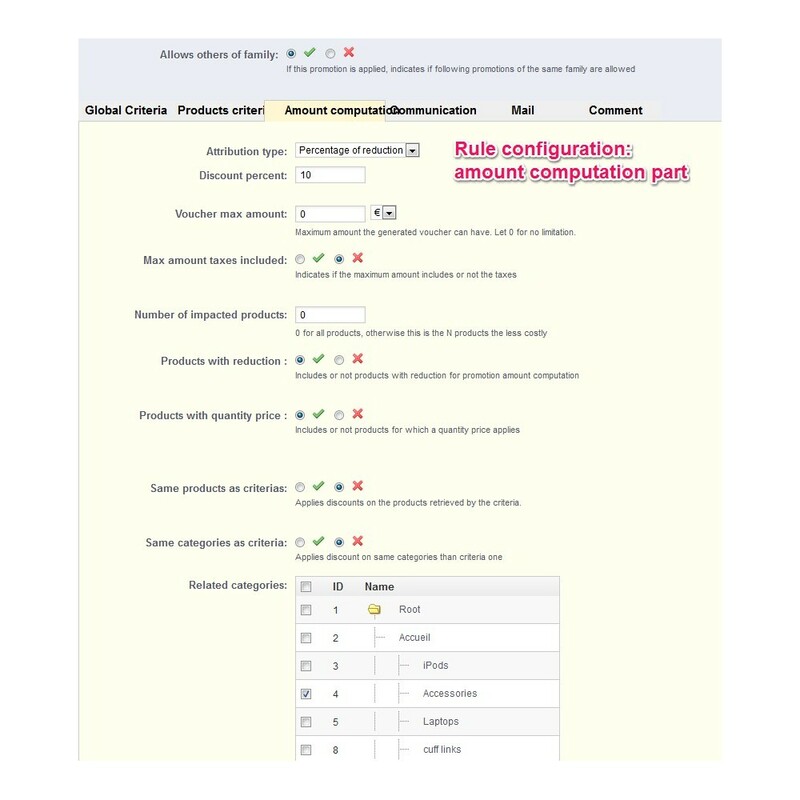 Each rule defined in the module configuration applies to one or several shops. 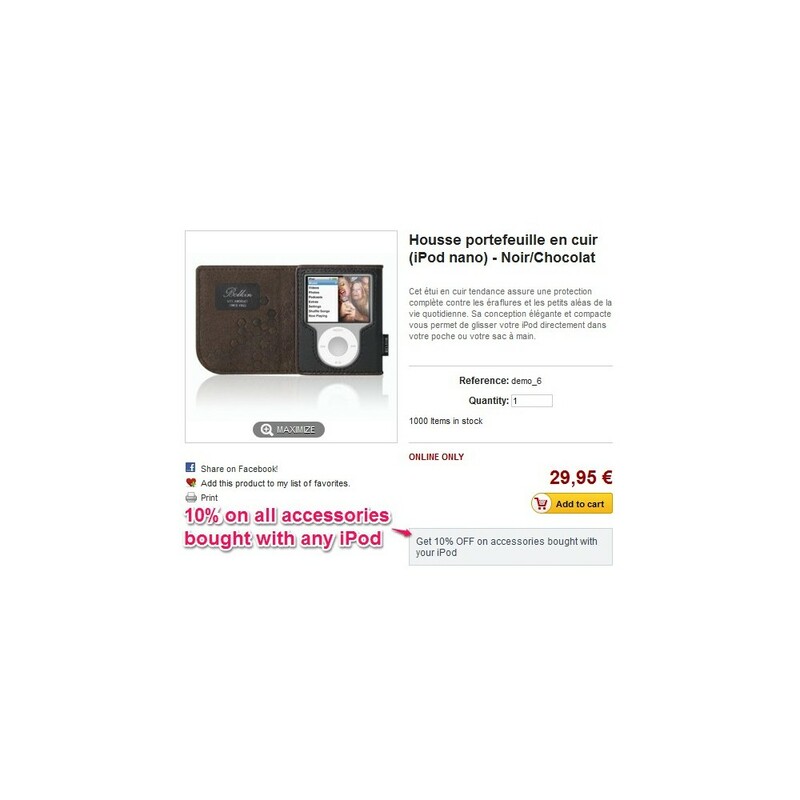 Your customer can enjoy several different discounts on your e-shop. This could help them save money by purchasing more products at a discount. Installation as a classical module. Few lines must be added in some core file (core or override) : these patches are explained in the documentation and modified file are given as example.